A new weekly series that explores a featured theme—this month, it's "Headcases"—by pairing timeless quotations with urgent images. Read on, spot the connections (some are more hidden than others), and by all means quote your favorite headcase in the comments. 1. Lindsay Morris, from the NYTimes article "What’s So Bad About a Boy Who Wants to Wear a Dress?" 2. John Marshall Mantel, from the NYTimes article "For Jennifer Sultan, a Dot-Com Bust"
3. Marc Steiner, from the NYTimes article "Police Sought Cellphones for Video of Times Square Shooting"
5. 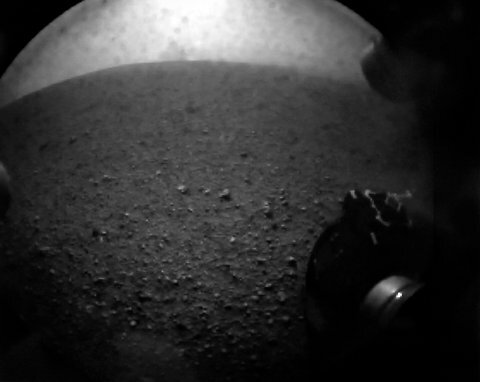 NASA TV (via Reuters), from the NYTimes Lede blog "NASA’s Curiosity Rover Successfully Lands on Mars"